Aviemore is the holiday destination of choice, not only boasting the most beautiful scenery but home to an abundance of things for the whole family to enjoy. Aviemore is the activity capital of the Cairngorms National Park, with plenty of adventure for all ages and abilities. Aviemore is a year round destination with walking, climbing, cycling, water sports and more. Click here to see the variety of activities available, on your doorstep, when staying in Aviemore. As well as offering a great variety of things to do, you are spoilt for choice when it comes to choosing the style of holiday you are looking for. You may opt for a touch of luxury with a 4 star hotel stay or opt for family fun in a woodland lodge or riverside villa. Opt to switch off entirely from the buzz of every day life, opt for Aviemore. Book your spring break in Aviemore now, from under £250 per family. After all that adventure where better to relax than in a luxury hotel, woodland lodge or cosy villa? Will you choose our lively resort in centre of Aviemore, our riverside resort on the edge of town or escape to our traditional cabins in the countryside? 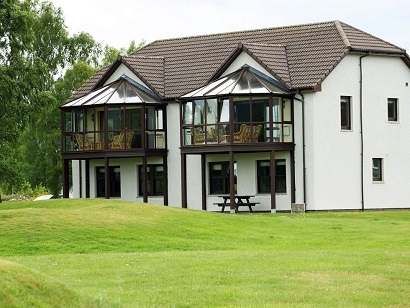 Macdonald Spey Valley Resort, offers guests a wide choice of accommodation ranging from cosy two bedroom lodges to more spacious three bedroom apartments and villas on the River Spey. 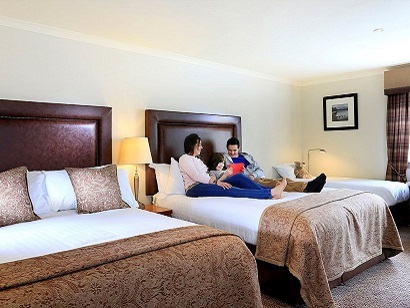 While those looking for 4 stay hotel luxury, are spoilt for choice at Macdonald Aviemore Resort, the largest of our resorts located in the very centre of Aviemore. Boasting a huge range of family leisure facilities you'll also find a wide choice of restaurants, shops and a cinema. 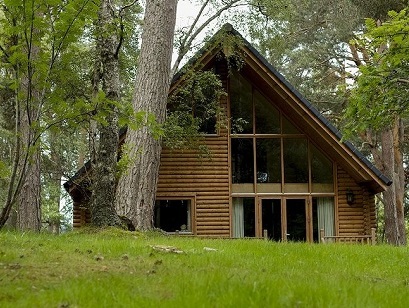 Just outside town in the village of Carrbridge, you’ll find Macdonald Lochanhully Resort, one of our most peaceful woodland resorts. Here you'll find traditional lodges located around a small private loch and plenty of local wildlife. Can't decide on what your perfect Aviemore staycation looks like? Call our team on 0344 879 9000 who can talk you through our great variety of accommodation and locations.